UNIKO TPEP® E is a medical device intended for the removal of bronchial secretions in a non-invasive way and for the administration of nebulised drugs. Easy, comfortable and safe, it can be use autonomously. 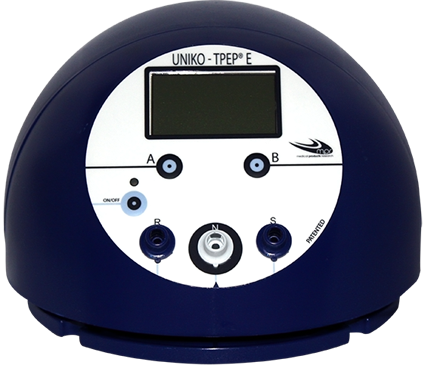 UNIKO TPEP® E was born with the aim of integrating in a single instrument some of the physiological principles that have proved to be effective in the field of respiratory physiotherapy and, in particular, of airways clearance. The modularity of the system guarantees a personalized treatment based on the patient’s real needs and in accordance with their state of health.